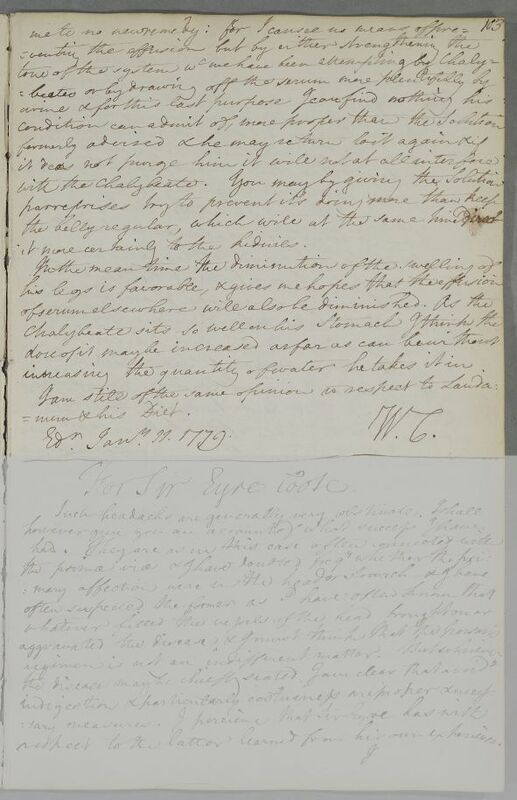 Reply to Dr John Heysham headed 'For Mr Irwin', in which Cullen agrees that the appearance of his skin is due to 'effuse serum' but sticks to his original course of treatment. 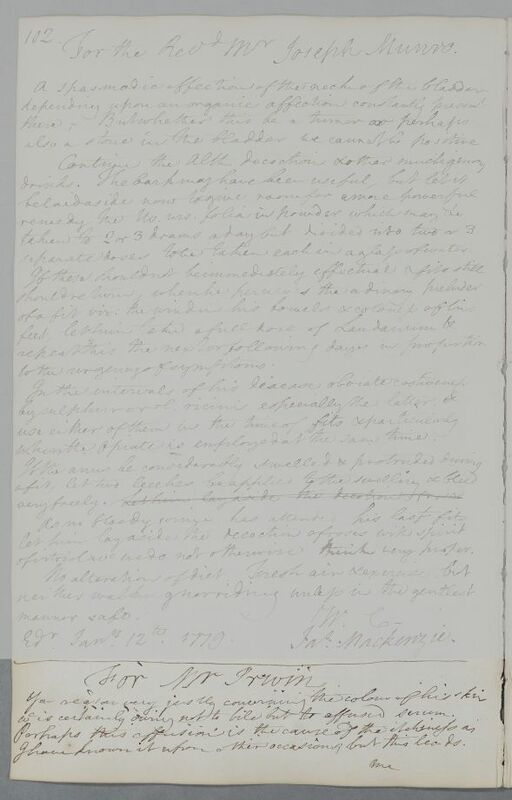 Summary Reply to Dr John Heysham headed 'For Mr Irwin', in which Cullen agrees that the appearance of his skin is due to 'effuse serum' but sticks to his original course of treatment. which is certainly owing not to bile but to effuse serum. it more certainly to the kidnies. increasing the quantity of water he takes it in. 1: Probably a faulty copying of "per reprises" ("by reprises", i.e. "repeated doses"). wc is certainly owing not to bile but to effuse serum.